I’ve been so busy crafting (yay!) and teaching crafting (double yay!) that I’m falling behind on blog postings. Let’s catch up a bit. Everything used on this card is from Lawn Fawn, including the patterned paper. The stamps are from the Stuck on You set, with matching dies. I know Valentine’s Day has come and gone, but I had to share this Valentine I made for a very special boy using this adorable balloon animal set, called Balloon Builders, from Stampin’ Up! I started with the largest balloon for the body then continued to build the bear. The main stamping was done in Stephanie Bernard’s ColorBox brown. The heart balloon was stamped in my old Marvy Matchables red. The string, eyes, nose and inside the ear were hand drawn. Grass was added with watercolor pencils, then blended (I kind of made a mess of that….) and the sentiment (from the same set) was stamped in blue. The pierced panel is from the Richard Garay/Spellbinders Pierced Rectangles set. How sweet are those birds? It’s the same die I used here, a Cath Edvalson design for Technique Tuesday. 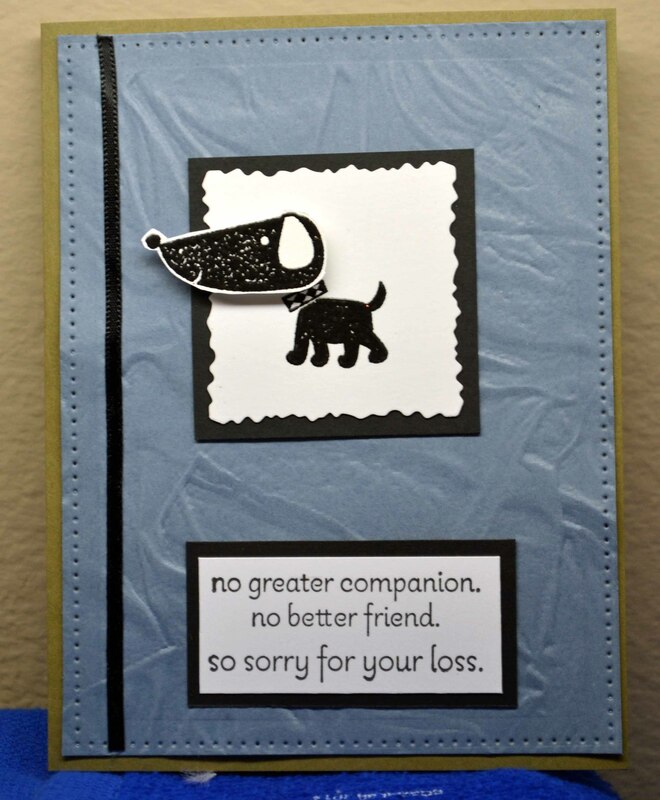 The paper is from Simple Stories and the sentiment from Stampin’ Up’s Bloomin’ Love set. 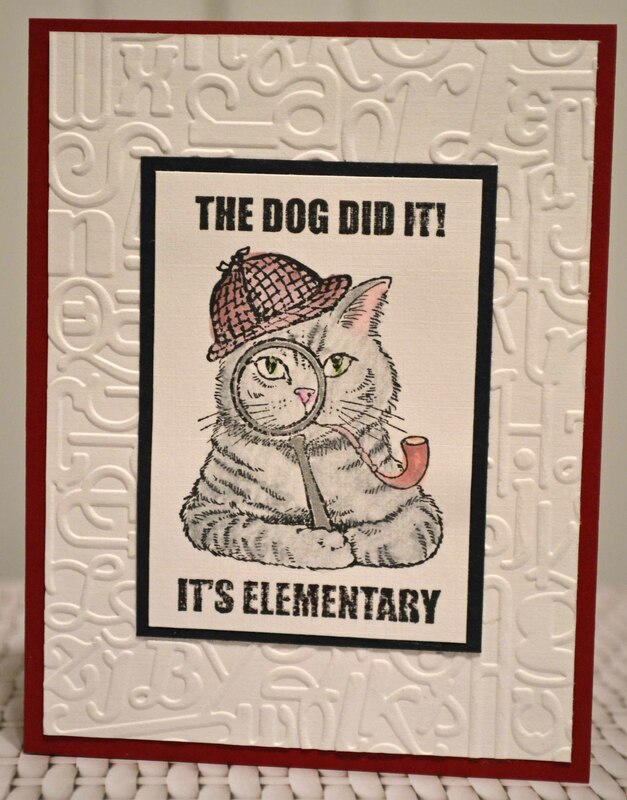 In my last post I featured a cute dog-reading-a-newspaper stamp from Stampendous! We gotta give the cats some love, too, right? 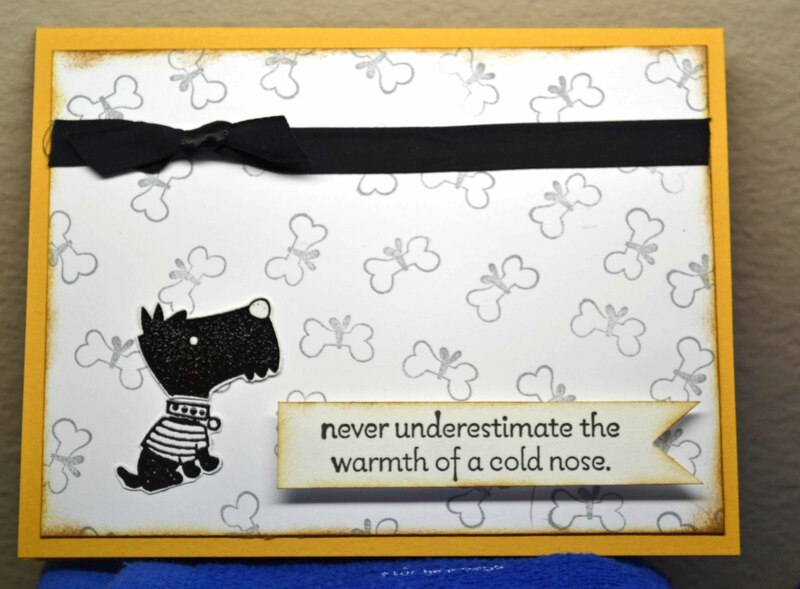 This is a simple card — basic stamping, layering, light coloring. The background was made by running white cardstock through a Spellbinders M-Bossabilities embossing folder. The image was lightly colored using watercolor pencils, lightly blended.